Please send us a message and we will contact you back asap. 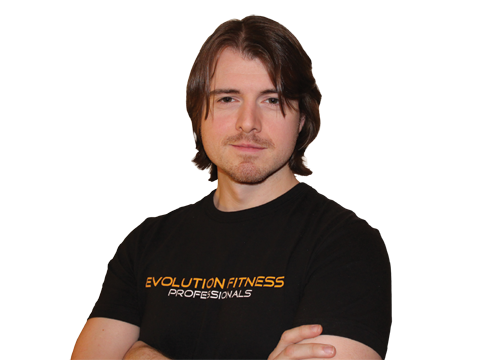 With 10 years of Personal Training experience and 5 years of prior education in the health and fitness field, I joined Evolution Fitness Professionals as a Director in June 2010. With years of success helping people achieve various health and fitness goals such as weight loss, physique toning and development, I have in the last 2 years, broken into the sports field. I am currently Strength and Conditioning Coach to boxers Paul Smith, Super Middleweight & Commonwealth Silver Medalist, Stephen Smith current Boxing Commonwealth Champion & Amateur Gold Medalist and Joe Mcnally unbeaten light middleweight. I also specialise in all areas of health and fitness and nutritional planning. 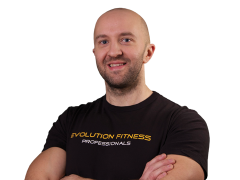 Since joining Evolution Fitness Professionals in 2010 I have taken an active role in leading group sessions in various military style boot camps. I currently run a successful boot camp on the company’s behalf which I have built up significantly in recent months. During this time I have also gained Level 2 and 3 in Personal Training and am building a client base. 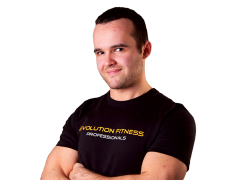 I deal with all levels of fitness from promoting muscle building to training a lean physique but my speciality lies in extreme weight loss, an area that I am highly experienced in, not only through achieving exceptional results with several clientele, but also through the experience of going through a similar transition myself when first taking an interest in fitness. 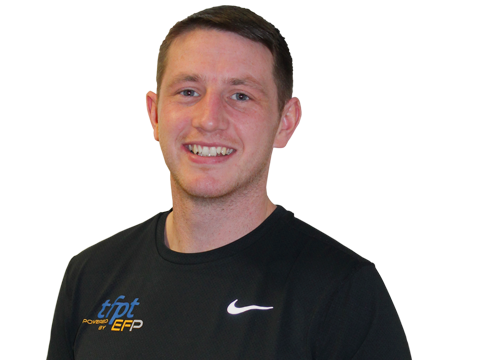 I am originally a Graduate of LJMU, coming from an Accountancy background, but from 2009 onwards have taken significant steps to change fields in order to pursue a career in Fitness, a career path that I am truly passionate about. 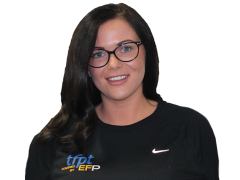 I am passionate about travelling and during the summer of 2011 I spent six weeks in Melbourne, Australia studying and understanding the different methods and training styles used by Australian Personal Trainers and other Fitness Personnel. I tested the knowledge gained by forming a successful boot camp on the shores of St. Kilda beach. If you are considering a lifestyle change feel free to call me anytime for a free consultation so we can discuss your fitness goals. Since graduating from Edge Hill University with a Business Management degree and working in a highly targeted and fast past industry in the Ministry of Justice, I found myself looking for a fresh new challenge to pursue and I have discovered that it is within the Fitness Industry, and all the different elements it has to offer from the ever changing methods to the rewards it provides to clients and their success stories. 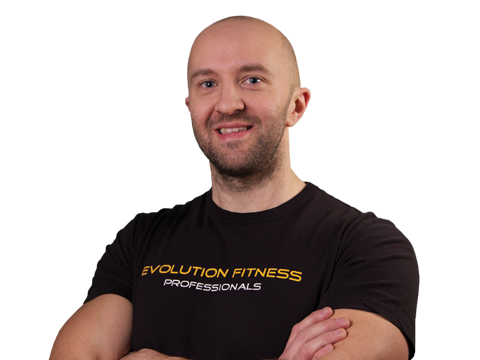 Since joining the Evolution Fitness Professionals team I have taken an active role in teaching Military Bootcamp based group exercise sessions,Studio Cycling,Total Tone classes and taken on the Lead Instructor role each Monday evening and Saturday Mornings at our Waterloo Beach-Fit location. 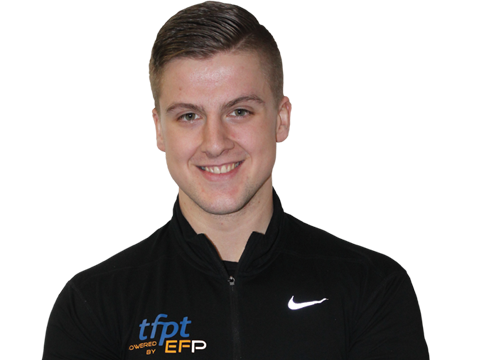 In May 2012 I achieved my level 2 Fitness Instructor qualification just 5 months after making the decision to change my career and then in October 2013 I achieved my next goal of becoming a Level 3 Personal Trainer. Basically I love a challenge and am not afraid of hard work! I am determined and highly motivated to achieve success both professionally and personally, I find my passion within my career stems from the knowledge and experience of having been there and done it, from Client to Trainer. As a qualified Ante/Post-Natal Consultant, I am here to support, guide and motivate you through your journey, so get in contact or come pay me a visit anytime to discuss any concerns regards your pregnancy and your training. 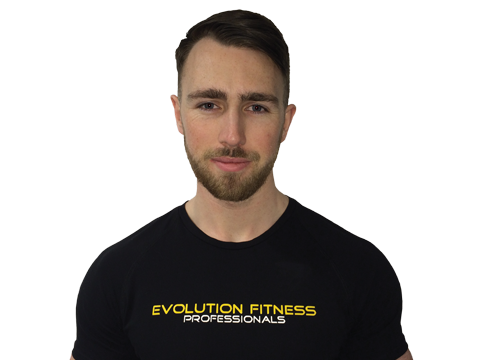 Jaymie Moran is a highly qualified and experienced personal trainer joining the team at Evolution Fitness Professionals. 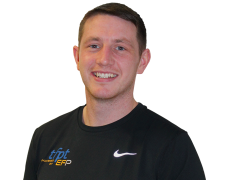 With a diploma in personal training and a level 3 in exercise and fitness, Jaymie has been putting his qualifications into practice with clients over the last five years. Male and female clients, young and old have all benefitted from Jaymie’s customised and personal approach to getting fit, losing fat, building muscle, building strength and sculpting trim, toned and strong bodies. 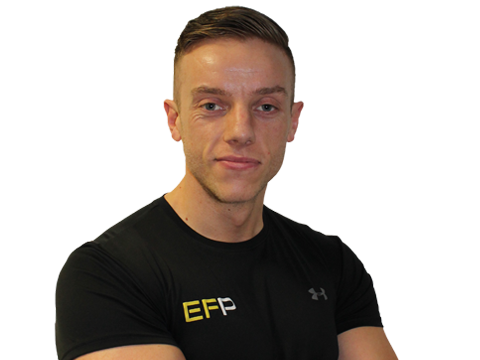 Jaymie specialises in strength and conditioning for fast fat loss, improved strength and stamina and increased muscle mass. 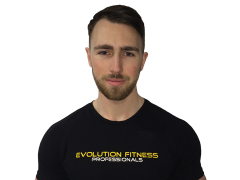 Jaymie carefully tailors nutrition plans for his clients and their unique goals, needs and lifestyle. So if you’re a chocaholic and the idea of giving up your favourite sweet treat fills you with fear, Jaymie’s IIFYM (If It Fits Your Macros) approach will allow you the odd cheat here and there whilst still achieving your goals and the body of your dreams. Jaymie’s nutrition plans work around you and your lifestyle meaning you will never feel deprived or like you’re missing out! 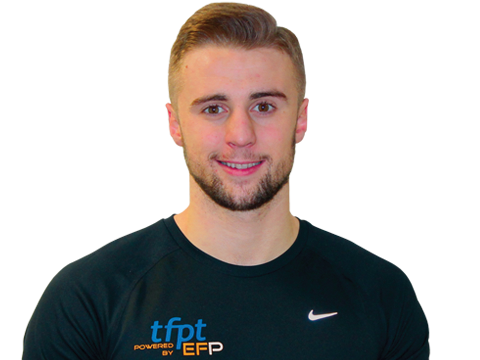 Jaymie’s smart training plans aim to maximise your efforts in the minimum amount of time. If you lead a busy lifestyle, he can customise a training plan for you that fits around your work, family, shifts and even physical limitations. 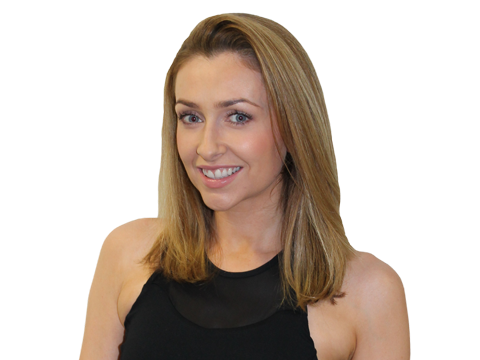 Jaymie’s famous for educating clients on how eating MORE and training LESS can produce results quicker and easier. (Ask him to tell you about the client who achieved her dream body after she INCREASED her calories from 1,000 to 2,500 a day and DECREASED her training from 3 hours per session to 45 minutes!). If you’re looking to get results quickly, like to be challenged and educated on the right exercise and the right nutrition plan for you, your body composition and your goals then Jaymie is your guy! 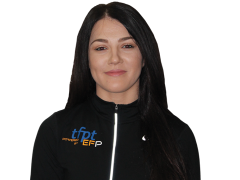 After being a member of Total Fitness for 12 years, I decided to take the leap, turn my passion for training and sports into my career and join the Evo-Fit team. 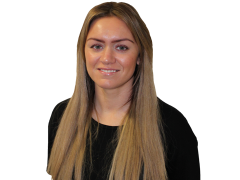 I am originally from an estate agency background, managing the lettings department of a busy, prestigious, family run business. The nature of the industry allows me to strive to be the best; an important ethos I adapt to training. 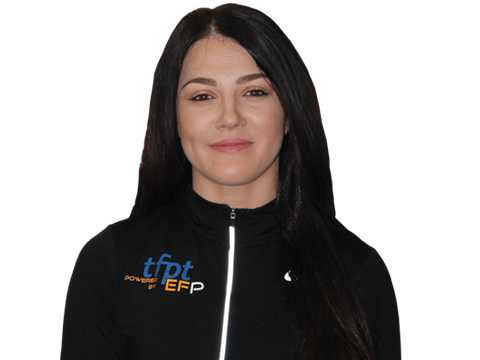 I have had the pleasure of transforming friends and family through my training expertise, and look forward to working with Total Fitness members. 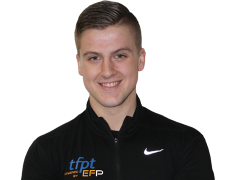 I am a highly motivated personal trainer, dedicated to providing every client tailored training and dietary plans specific to their needs in order to achieve their individual goals. I am currently involved in delivering training and nutrition plans to a wide variety of clients. This ranges from post-natal training plans to 2016 ‘Mr Britain’ body building training programmes and focused, tailored nutritional plans. I’m so passionate about yoga i have personally been practising for over 10 years i wanted to take my passion further so studied to become a yoga instructor to help share the health benefits with others. I am here to teach you the amazing benefits of yoga not only does it give you strength and flexibility, it gives you a more positive out look on life and develops a stronger bond between mind and body. I first started my love for sports as a child. I represented my school and county in athletics and ladies football. I also represented my school, college and Merseyside in badminton. My love for sports was natural and naturally led me to start a career within the sporting sector. 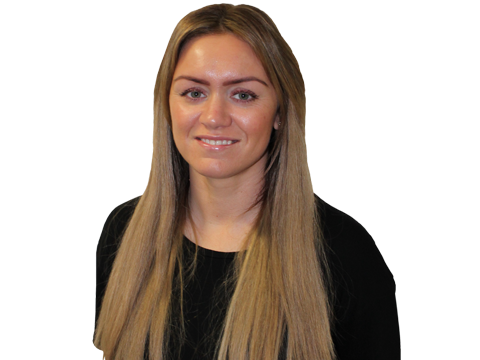 I went from school to Wigan and Leigh College where I firstly studied Sports Studies, which took me onto the next level being an Advanced Diploma in Sports Therapy. I felt that this was the perfect path for me to take. I qualified as a Sports Therapist 15 years ago and my love for keeping fit has never changed. I train most days and I understand how important it is to be injury free in order to continue with a regular training routine. I also understand how injuries can occur and how they feel. My main purpose is to advise and get you feeling great again so that you are able to continue with your day to day life and get back on with your sporting activities. I will assess, treat and provide rehabilitation of sports injuries and advise on injury prevention. 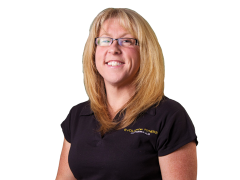 I specialise in deep tissue massage therapy/sports massage and providing strengthening exercises. I first walked into a boxing gym when I was 10 years old, and had been a passion of mine ever since. I have represented the Royal Navy winning championships at light welterweight and welterweight, currently boxing at middleweight. I have also competed for established boxing gyms including Kirkby ABC and now ERT pro/am. It was my passion for boxing that lead me into the fitness industry 9 years ago, to educate myself and help others reap the benefits from this style of training. You only have to look at a boxer/MMA to see how well conditioned they are, not to mention the mental benefits from this intense type of training. I have gained vast knowledge over the years from the correct nutrition to the best exercises to get you fighting fit. It’s guaranteed to improve strength, speed, agility, balance and coordination. 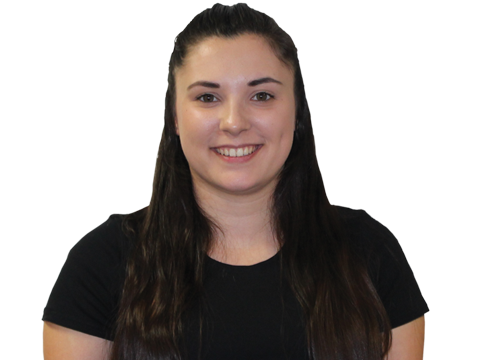 I have always been interested in sports so when I completed my A-levels I decided to study Sports Therapy at Edge Hill University. The course included modules on Anatomy, Physiology, Kinesiology, Rehabilitation and Sports Massage. I graduated in July this year (2017) and become a member of the Society of Sports Therapists. 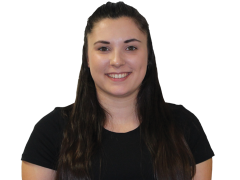 During the course, there were opportunities to apply my skills and knowledge in placements at Liverpool University, with Evolution Fitness Professionals and within Edge Hill’s Sports Therapy Treatment Clinic. The placement at Liverpool University involved providing first aid support for university teams competing in a whole range of sports including lacrosse and Gaelic football. 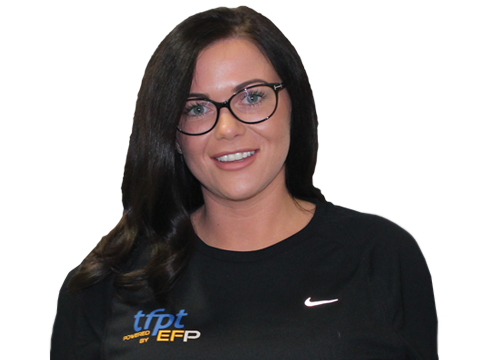 Whilst working with Evolution Fitness Professionals in the EFP Sports Therapy Clinic I was able to actively contribute to rehabilitation programmes and treatment plans supporting clients as they returned to full fitness and achieved their personal goals. Once I had completed my degree I was delighted to be invited to join the team at Evolution Fitness Professionals and further develop my role as a Sports Therapist assessing, treating and planning rehabilitation. Following and also advising on strategies and techniques to prevent injury and aid clients to achieve to their full potential. 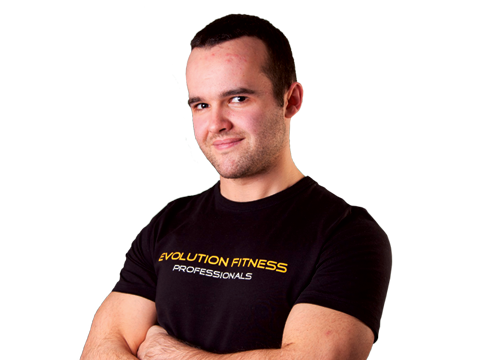 I am a Personal Trainer, specialising in resistance training and fat loss. I have spent the previous 8 years in the gym; researching, gaining experience and learning the science and techniques that go into achieving the great results everyone wants. To put my knowledge and experience to the test, I competed in the ‘Men’s Physique‘ category with the United Kingdom Body Building and Fitness Federtion (UKBFF) , placing 2nd in my category out of 38 competitors in the largest Body Building and Fitness Federation in Britain. Fitness is my passion and, when I’m not in the gym or training clients, I’m reading the latest sports and fitness research. As a physique competitor, a body building category focusing on muscularity and body conditioning, I am not only interested in the overall health benefits of exercise, but have a particular interest in aesthetics aspects of health and fitness. I can help you lose fat, gain muscle and tone up whilst improving your overall fitness and wellbeing. 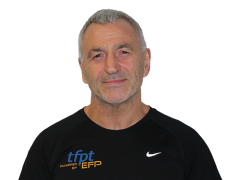 I have a person-centred approach to personal fitness, whereby my training methods are tailored to each individuals’ own person goals, fitness levels and circumstances. I don’t follow the ‘fitness trends’ – I base my training on techniques that have been tried and tested. 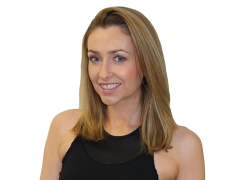 So, whether you are new to exercise and don’t know where to start, or you’re an advanced trainer who wants that extra push – I can help you. Don’t hesitate to approach me about your goals, or even for some more general advice around the gym. Sport and exercise has always been a passion of mine. From taking part in sports and athletics through school, to working alongside adults and children with disabilities. I have a strong passion in supporting all abilities so they are able to enjoy physical activity. This involved a range of techniques, including movement and developing sporting skills. For example, gym training, trampolining, football, dance and other sports events. This fuelled my drive to develop more within the sport industry. I have completed level 4 and level 5 in sports massage therapy. Additionally, I have trained with OMT gaining a certificate in spinal manipulation. This allowed me to develop further skills with running schools, going on to complete DMS movement re-patterning in rehabilitation. In my spare time I actively support St.Helens Academy Rugby when they need extra hands during training and pre game. Since taking on my own transformation of weight loss losing over 6 stone, health and fitness has been a passion thats been burning inside of me ever since. 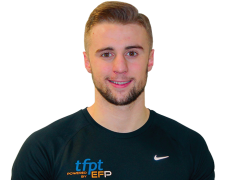 From working as a fitness coach for Total Fitness I have kept my motivation and ambition upbeat by maintaining a positive attitude which will reflect on my clients training. Through my fitness journey I have gained many opportunities such as being invited to audition to be a Les Mills Presenter in London, through Les Mills I have gained extra knowledge on coaching my clients to perfection and taking them to the next level. 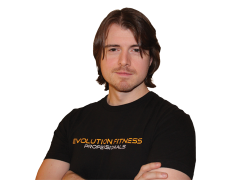 I have practiced various techniques over the years to improve strength and fat loss which have been ideal for my clients who are looking to either lose weight through gaining strength. I tend to keep up to date knowledge of the fitness industry by constantly learning and progressing which will therefor benefit my clients journey. If you want to lose weight or get stronger with someone who will expose your strengths and chisel your weaknesses don’t hesitate to give me a call for a free consultation to determine your fitness journey. 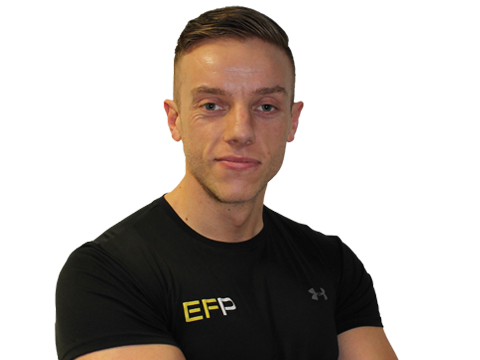 I am an athlete/ personal trainer who specialises in fat loss, muscle building, competition training and confidence building. Over the past 3 years I’ve spent in the gym I’ve been gaining knowledge and experience in fitness and nutrition. As well as transforming my clients I’ve spent a lot of time transforming myself and competing in bikini bodybuilding across the world where I placed top 10 in Britain 2017. I take a lot of pride in my job because I love making people feel good about themselves and giving them a different mindset to work with. My training is unique but very effective and creates results through discipline and consistency. I see myself as somebody who can give you the personal touch and knowledge you need into your training, wellbeing and nutrition. Goal setting is what thrives me and completing them is what keeps me motivated If your looking for somebody who can give you the extra push you’ve been missing get in contact below. 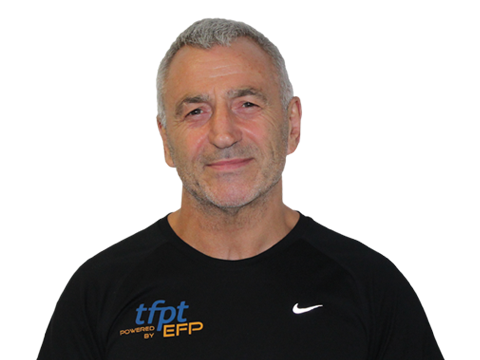 I’ve been training in sport & coaching sport for 40 plus years. Participating in Amateur boxing from aged 12, to coaching Sefton ABC & Members of the Northwest and England teams. I now run in ultra-marathons, Obstacle course racing, and Tough Mudder. I am currently a UK Ambassador for Tough Mudder. Taking clients from couch to 5k 10k half and full marathon, Tough Mudder and ultra-marathon -beach runs. Supporting a client while dropping weight from 23 to 15 stone through hard work in the gym and on the road. Coaching Liverpool police force to win battle of the forces (white collar charity event) against Manchester, Cheshire and Lancashire (2014). 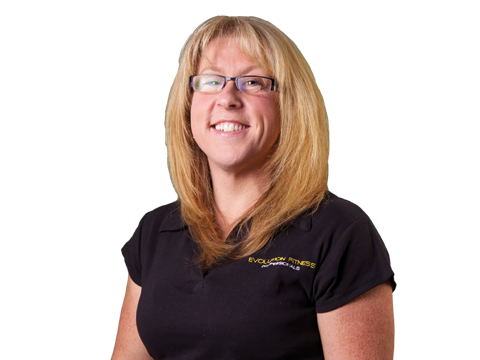 As a Level 5 massage therapist I can use my years of experience to provide a clear understanding of an injury and develop a recovery program to get you back on track.